By their very nature, conservatories are not usually as robust and strong as the main building fabric of your house. 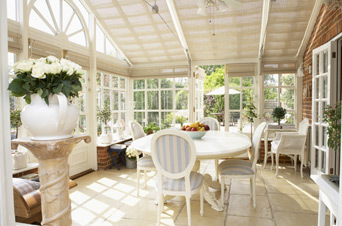 Conservatories usually contain a lot of glass windows, and often a glass roof as well. 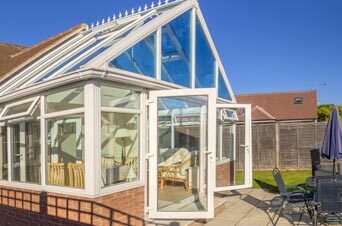 While your conservatory is no doubt quite strong and in no immediate danger of falling down, it may be showing signs of old age, and you may be thinking that it’s time for a replacement. You can obviously replace the entire conservatory by pulling down the old one and putting up a new one. If the new one is exactly the same dimensions as the old one, this will be a relatively easy job. If, however, the size of the new conservatory is different, ether smaller or larger than the old one, then a few factors come into play that can complicate things a bit. A larger conservatory replacement will need a larger base than the old one had. It may require planning permission, though possibly not. In any case, you should check with your local planning office before building starts. 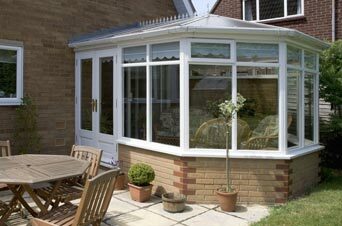 People usually get a conservatory replacement in order to have a bigger and better conservatory. Other reasons could be to replace only a part of the existing conservatory, usually the old solid roof with a glass see-through one. New materials, building techniques and innovative designs are evolving all the time. If it has been 10, 15, or maybe 20 years since you erected your existing conservatory, there may well be new concepts that you would like to have, but don’t. 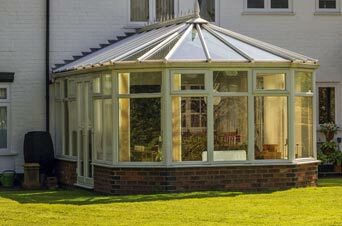 While it may be possible to replace parts of your conservatory only, it is often also a good opportunity to replace the whole thing, and perhaps make the new one larger at the same time. If you are skilled at DIY, or you think you can successfully do it yourself, this is certainly a possibility. However, you should give the matter a lot of careful thought first to be absolutely certain that you are capable of doing it properly. If you have any doubts at all, it will be best to find a reputable builder to do the job for you. You should seek a builder who is a member of either the Federation of Master Builders (FMB), or the Double Glazing and Conservatory Ombudsman Scheme (DGCOS). The FMB is a trade organisation that operates independently, and is dedicated to maintaining standards of excellence. The DGCOS promotes consumer protection, as well as standards of excellence, and they both expect their members to follow a strict code of industry practice. When deciding on a suitable builder, you should ask for references, and follow up on them. Check out previous work that the builder has done to see for yourself what kind of job they can do. Also, ask several builders for a quote, and don’t be tempted to take the lowest quote. It may be the best choice, but always check up on that first. A company that has a long experience in working with conservatories is pinnacle-windows.co.uk, based in the Birmingham, Redditch and surrounding areas. If you live anywhere near there, give them a call.